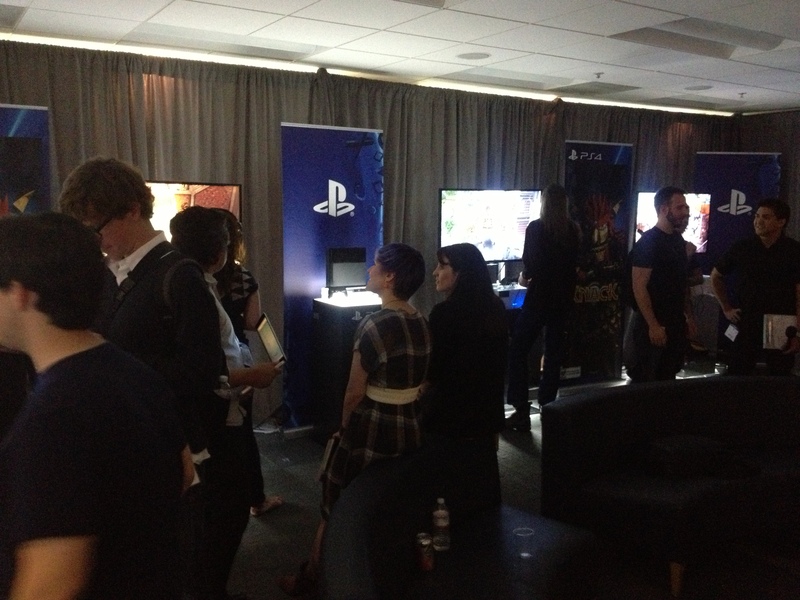 Sony had an event today at their offices in Foster City to give the press some hands-on time with upcoming games running on the PlayStation 4. The Witness was among the games being shown! We were the only third-party game there. Also shown were a whole lot of Killzone: Shadow Fall, Knack, PS4 versions of Sound Shapes and Flower, and Resogun. I did some interviews and talked to a number of press people who are very interested in The Witness. I also took some photos. Wow, that is nice.. I remember firts time I played Flower, I was amazed, music was worderfull. I also wrote to ThatGameCompany email asking if they plan to release port for other platform like Android, but they said that they have contract for 3 exclusives for PS3 ( third was Journey! ). I started to develop version for android, but lack of time(I am not payed for developing games) ended in project cancelation. It was a nice experience. I beleave The Withness will leave me great experience, as Flower did( Braid too :D ). It’s “The Witness”, not “The Withness”. 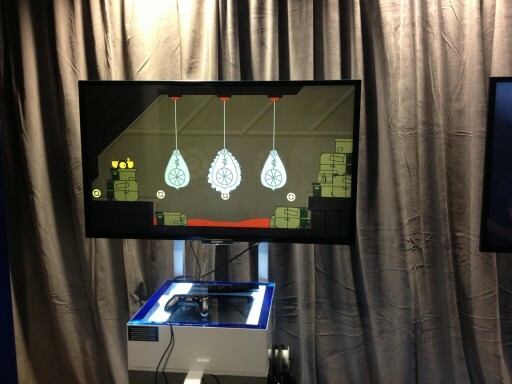 Having said that, I think there should be game called “The Withness”. Thank you so much for sharing. I will now madly be looking for the interviews you gave and write ups on the new hands-on for The Witness. BE SURE to check out the new screenshots in the post and click thru on the flickr feed that pops up for even more. with the exception of some strange (presumably unfinished) rocks in the windmill picture, they look amazing! I just watched a video(from Kotaku) where you explain one of the earliest puzzles. Now since the game is kinda open world instead of linear, I am wondering if all puzzles are available from the start and independant from each other or does some puzzles require some knowledge you gain from completing other puzzle à la Antichamber? I really like the progression in Antichamber, it felt like a metroidvania where instead of unlocking powerups in order to progress, you “unlock” knowledge. Anyway, I can’t wait to play the game on PC. The game looks awesome. Cheers. Some puzzles require knowledge that you would get on other parts of the island. When this is the case, we usually gate that area with a puzzle on the front testing whether you know what you need to know. Oh this is a great idea. Thanks for the answer. Here’s the aforementioned Kotaku video! What really stood out for me as I watched Jon work through the series of puzzles was the shadows swaying on the panels. I was caught up in the puzzles and was reminded that here we are in this world. As an indie, how does it feel to be “part of something” when you are showcasing work alongside first party studios within this PlayStation universe Sony has created? It is nice that Sony likes the game to invite us to events like this. But really for me, making games is about the games themselves and not who you are hanging out with, or from whom you get approval. It is bad to take that stuff seriously. But more seriously, your phrase “part of something” is a little bothersome, because you are presuming that independent games are not “somethings” of equal (or greater!) value than a group of first-party games, and that seems to be a highly-questionable assumption. If you don’t feel like your game is a “something” that requires no justification other than itself, well, that is at least a mildly sad situation! Thank you for the response. I am sorry if my original question was poorly worded. The point I was attempting to make, and I will try to clarify here, is that as an independent developer your work generally stands out on its own island (pun coincidental). This lack of affiliation is the very nature of the term “independent”. That said, when the game is completed and released it will naturally belong to certain groups as any other work might. Groups like: “games”, “video games”, “modern video games”, “video games for platform X” etc. However, leading up to that point, to be included among a subset of games featured when a new console is released (thinking back to my excitement seeing The Witness during the PS4 reveal), or in the case of this article having your new game featured at a press preview show (and being the only third-party game there, as you pointed out) includes your work in yet another, even smaller/more exclusive group. My question is how does it feel to be included in that group? How did it feel to be invited to appear on that stage, or selected to appear within the same limited space? Although you have already answered how it feels personally, I was also interested in what you think it may indicate for the role of games from independent studios today. Personally, I consider your work and the work of other independent developers every bit as valuable (if not more-so), than the first and third party titles that seem to get the most attention. To that end I am glad Sony has chosen to feature games like The Witness alongside titles from major publishers in their announcements this year. Perhaps it is all PR, but it seems they have a genuine focus on bringing great experiences of all shapes and sizes to their consoles. Among other things, this validates my own feelings and gives me hope that more people will get to experience these great games. At the same time it disheartens me to see part of the gaming community see this shift in focus, and hear them discount upcoming games from independent developers as a “bunch of indies” knowing that the experiences I had playing Braid, The Swapper, Dear Esther, Antichamber etc. (and the risks associated with the development of those games) are absent from all those AAA titles. Well, it’s nice to be included! 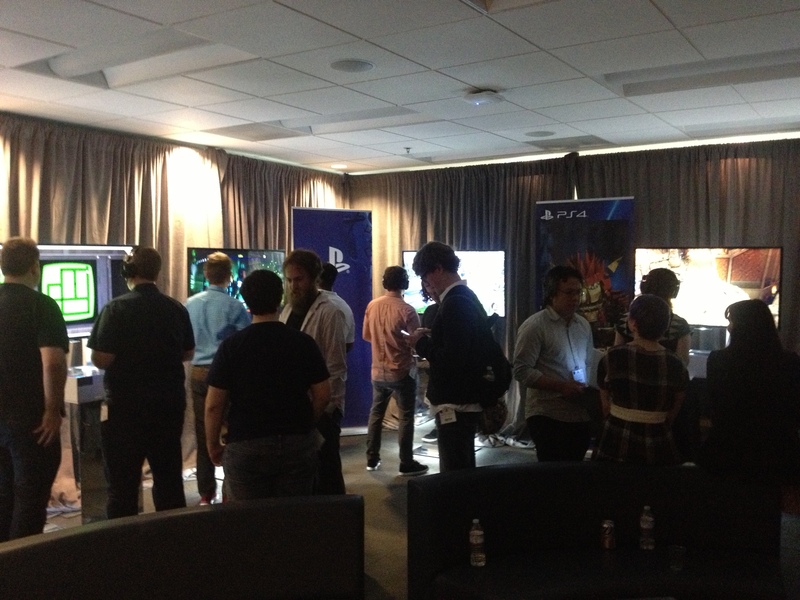 There are people at Sony who are genuinely interested in the game. That said, it is not a good idea to think that things like this are too personal or too much about a good game or whatever. Even when there are people at the company who are personally very interested in your game, a large corporation isn’t going to put you in their big show unless it gets vetted by people higher up, which means those people believe that there is a net positive expected value to spending 8 minutes on this game instead of another game. That kind of thing is very calculated and tactical. I don’t know, though, I guess I detect an undercurrent of emotion fetishism in your question? It’s complicated how it felt. It was nice overall, it felt good to be getting attention for the game in a major event, it felt stressful to have to do a lot of work to get a trailer together in time. At the same time, none of these emotions are too serious, because as I mentioned before, I am not judging what I do by how much attention it gets, or from whom it gets attention (well, I am trying to do that as best I can). Well, that may be happening, but it is a lot better than the situation 10 years ago, when developers of small games got no attention at all. Thank you for revisiting this topic after my clarification. I personally struggle with seeking external validation for things I choose vs. trusting only my own internal opinions (Is this good? I think it is. But what if I’m wrong? ), so it is interesting to again hear your perspective on this. There seem to be individuals who create things (games or otherwise) that find themselves in one of all the possible positions of this internal/external spectrum. I know that I personally would like to move closer to the internal edge. I tend to believe a lot of that change has you and Braid to thank. Jon is the creator of one of the most highly rated indie games of all time and he needs Sony to be a part of something? Okay. “first party studios within this PlayStation universe Sony has created” – Is that a sponsored comment? The Witness isn’t interfacing with other Sony services, is it? There’s no “interconnected universe” here. Rather, there’s this island floating in space called The Witness. Interstellar communication isn’t happening. I think what’s nice is anyone’s game getting attention in the first place. It’s nice to be showcased and to know that other people care about the thing you’re putting your heart and soul into, but at the same time, game design is sometimes like a journal. You just want to record your thoughts and beliefs into something. Whether or not someone takes interest is a matter of whether or not your internal thoughts and feelings empathize or sympathize with those of others. Being a part of the “PlayStation (ProperCasing that… are you sure you’re not being paid?) universe Sony has created” doesn’t matter that much to people who aren’t making their games for money. Sony didn’t create this universe. The Witness team created The Witness. I don’t think their interests overlap that much for this specific task. So, when is it going to ship? And will it be on Steam? I can’t stress enough what a fan of Braid I am and how closely I’ve been following The Witness. Such a tremendous fan of Jonathan Blow’s game philosophies. I don’t 100% know why I’m writing this since I’m going to buy the game day one regardless, if for no other reason than to experience first-hand the “something special things” that happen (that Blow has alluded to over the years), but it’s been awhile since this concern has been addressed so could you put my worried soul at ease? TELL ME IT’S GOING TO BE GREAT! As one of the artists who just played the game all the way through to get a fresh perspective on it as a whole, I feel very confident in saying that IT”S GOING TO BE GREAT! Not all the puzzles are difficult, but there is a wonderful rhythm and flow of ideas as you solve them, and many moments of discovery. I can’t tell you how many times I laughed out loud or gave a little squeal of joy when I finally understood the idea behind some of them. They are “just” panel puzzles, but Jon has been thinking about them for years, explored them fully, and came up with some incredibly brilliant things most people might never think of. Also, don’t forget, there is still an entire aspect of the game that is not going to be talked about at all until the game releases and people find it themselves…that is, in my opinion, the most interesting thing about this game! Thanks for the reassurance Orsi… It’s a really weird disconnect for me since I am, again, such a tremendous fan of Blow’s work/games/lectures/etc… I look forward to publicly admitting that my concerns were unfounded! I just finished reading and watching Copenhagen (the play by Michael Frayn), and my appreciation and understanding of Braid went through the roof. My question is: Is there any readings that you recommend prior to starting The Witness. At the very least, are there any thematically similar ones? Yes – I was thinking the same thing. Is there anything we should be reading/watching/playing before The Witness comes out that will help us get in the mood? Please post any other articles, interviews and videos you find. I’ll update and do the same. Some new commentary from Jon, but nothing that will surprise anyone here. 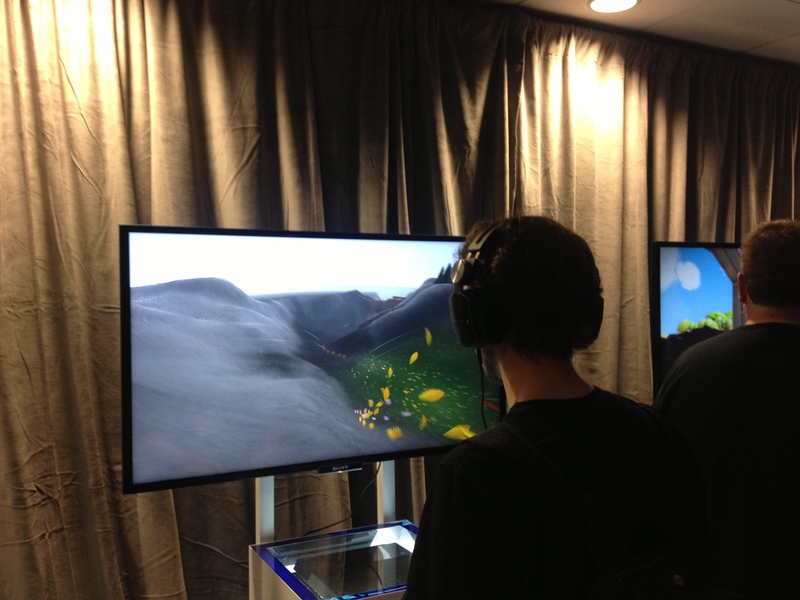 Jon, Will playing The Witness make me a better person? The more you talk about the game, the more interesting it becomes. It’s starting to feel like a thesis on our world, from your perspective. I’m watching a video interview from gametrailers right now and you get so happy when you talk about how The Witness turned into a 25 – 30 hour game. It’s almost magical seeing the change of expression on your face. 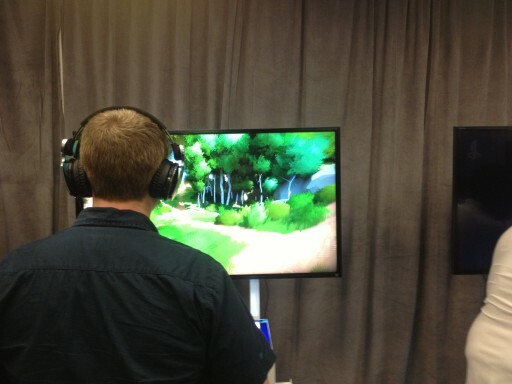 I continue to eagerly await this game…I’m not sure I can hold out until the middle of 2014! I have a couple of questions for Jonathan or anyone on the team that is able to answer. First…what do you see when you look down? It may seem silly, but this is something I’ve been curious about for quite a while. I know a great deal of attention has been spent on making footfalls sound authentic, so I’m curious if you actually see your character’s feet when you look down. This wasn’t an issue in the Myst games since you had very limited choices of where you could ‘look’ but in The Witness, I don’t know, it bothers me. It seems like if you *don’t* see anything, that would kind of take you, mentally, right out of the game (“Why can I hear my feet, but not see them?”) Yet if you *do* see your feet and lower body…well, that seems to have its own set of issues. My other question is related to the hidden stars in braid. Discovering the first hidden star that I found in Braid was probably the single most memorable experience I’ve had playing a video game. It happened after I had already completed the game, and I thought I had solved all the puzzles there were to solve, and then my curiosity got the best of me, and I tried to get a hold of a ladder before I reversed time and…well, you probably know the rest. My question is: Can you give us any hints or spoilers as to whether or not The Witness has any sort of additional, deeper level of challenge for those of us willing to search for it? Any answers would be appreciated. Good luck finishing the game, guys…I can’t wait to get my hands on it. I just wanted to chime in with everyone else on this forum, and tell Thekla Inc. how excited I am to finally play the Witness. It will be the one game that I will pick up a PS4 for and I hope that Thekla will be able to make many more games as a result of the Witness’ success. It’s also very inspiring to me personally, to see a Jonathan’s vision come to life, and it motivates me to create more wonder in my own life.